During our 12 years of activity we were happy and honoured to be tour guides in Sibiu, and around, for different tourists, journalists, businessmen, travel agents, travel bloggers and international companies. Guided visit for a group of French journalists from different newspapers and magazines in Nantes and Rennes; the info trip included visits in the historic center of Sibiu and the counties around. Keith Bain, reporter for the Frommer’s Publishing House; Mr. Bain came to Sibiu for an info trip and research tour to update all the necessary information for the „Frommer’s Eastern Europe” guide book. Collaborating with Turism Club Magazine, for the March 2009 edition dedicated to the county of Sibiu: information about the history of the city, tourist attractions, cultural events, pictures. 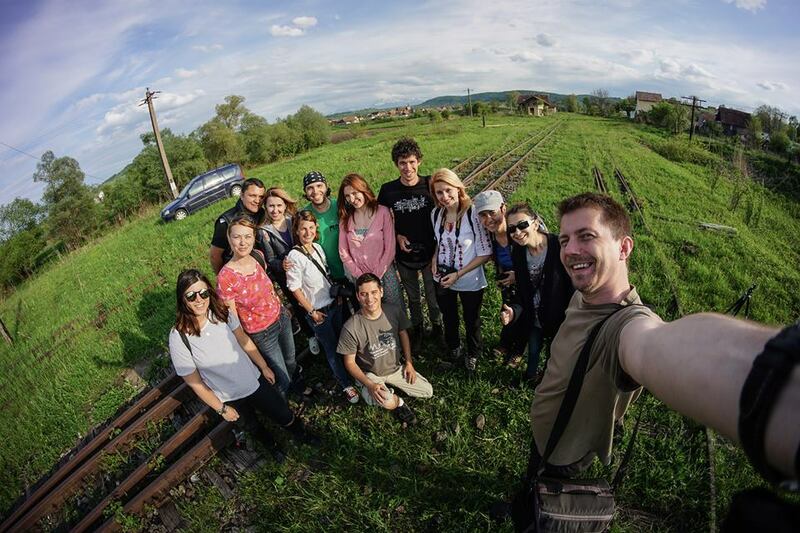 The journalist Leif Blanc organized an info trip in the area Sibiu-Braşov. In Sibiu I joined him and provided information about the city and its surroundings . Organizing the necessary infrastructure for the Channel 4 staff; they came to Sibiu to shoot a film about the Red Bull Romaniacs Competition and Sibiu – Sighişoara, two important tourist attractions in Transylvania. Guided visit and information about the region of Sibiu. Part of the staff organizing the visit and the filming infrastructure. Project Advisor – issue December 2010 – The county of Sibiu. TransylvaniaGuide Documentary – winter tours around Sibiu: mountain trekking tours, craftsmen, traditional life and cultural visits. Guided visit in Sibiu for the Huffington Post reporter. In May 2015 I organized (together with Turism Market) an infotrip in the region of Sibiu called #RomaniaAutentica (#AuthenticRomania). The main goal was to promote a region that is less known to the tourists but with such a great natural and cultural patrimony.